Crone is "a phase in which you can be more authentic, more capable of making a difference in your family and in the greater world. Life gives you experience, and when you draw from it, that's true wisdom. By the time a woman is in her crone years, she is in an amazing position to be an influence. To change things for the better, to bring what she knows into a situation, to be able to say, 'Enough is enough.' You don't have to just go along with things, which is often a part of the middle years. You're often something of a loose cannon." I recently came upon a podcast in which mythologist, Marina Warner, speaks of the "enchanted forest." Warner describes the enchanted forest as a place for the hero to face both trials and self-discovery, and in doing so, experience an initiation. Living in the center of this forest is the wise old woman. But who is this old woman who can live in such an environment? Warner gives the example of Baba Yaga as the dual sided figure, both frightening and kind. Old women (whether hags or crones) were often the tellers of folktales, for they held the wisdom of both folklore and life. They were healers with "medicines" of stories, words and ancient practices. Over time, their knowledge of herbs became marginalized and condemned as the advancement of science and medicine took hold. Healing moved from the purview of women, into a study soley for men. Let’s pretend you are lost in the woods. (Those of you who love metaphor know exactly what I mean.) You’re certainly going to get hungry. You definitely will be thirsty. As the night begins to fall, you might even find yourself feeling lonely and afraid. If this was a fairy tale, just as you are about to lose hope, a cottage appears – right in the middle of the woods. The cottage is the home of the crone, a wise woman, who can appear as friend or foe depending upon your need or worth. If you have found yourself at this blog, know that you are worthy of the quest before you. Listen with an open heart and the crone may yet show you favor and assist you on your journey. The Crone’s Cottage is a spot where the heart is opened and the spirit renewed. Together we’ll explore the ancient world of myth, legend and folklore. We’ll also look at contemporary films and stories that continue this tradition of fantasy and we’ll discuss the theories of Carl Jung and Joseph Campbell. Know that it is when your journey is difficult and the path dark and unclear, that the Crone offers you a helping hand. She may leave you enriched by your visit; giving you food, shelter and a clue as to how best to proceed. Sometimes she may haunt you with an unanswered question that lead you deeper into the forest of yourself. But this is true only if you choose to accept her help. You must see beyond her visage. You must see beyond the fear of the unknown. For when you do so, you are proven worthy and her magic takes you home. Kathy Shimpock is a transpersonal practitioner, artist and storyteller. She has an MA in Celtic Studies and teaches the art of storytelling at South Mountain Community College's Storytelling Institute and hypnosis at the Southwest Institute of Healing Arts. Kathy has a deep interest in transpersonal studies including personal growth, folktales, mythology and Jungian psychology. Her company, Symbols of Soul, helps clients discover and explore their own health, wellness, creativity and intuition. The tools she uses include: transpersonal hypnotherapy & guided imagery, Reiki and other energy work, spiritual guidance mentoring, depth coaching, storytelling, expressive art, ceremony and ritual. She is also an approved facilitator for SoulCollage and for IONS Conscious Aging. 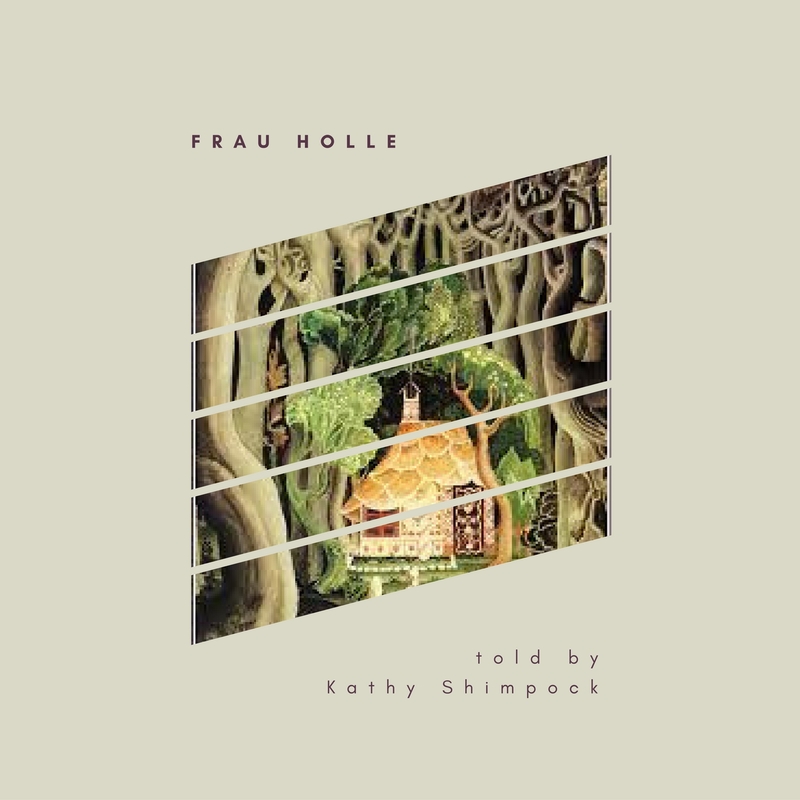 Frau Holle - a Grimm Fairytale told by Kathy Shimpock, available for purchase at Heart Symbol Publishing. 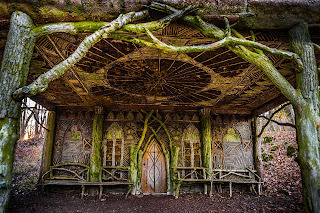 The Wise Crone's Cottage in the Woods by Kathy Shimpock is licensed under a Creative Commons Attribution-NonCommercial 4.0 International License. Based on a work at http://www.wisecronecottage.com/. Header image by Kay Neilson (1886-1957). Ethereal theme. Powered by Blogger.